Coach Pete Foley, new All Ireland champion Catherine Jennings and her proud dad Mike. 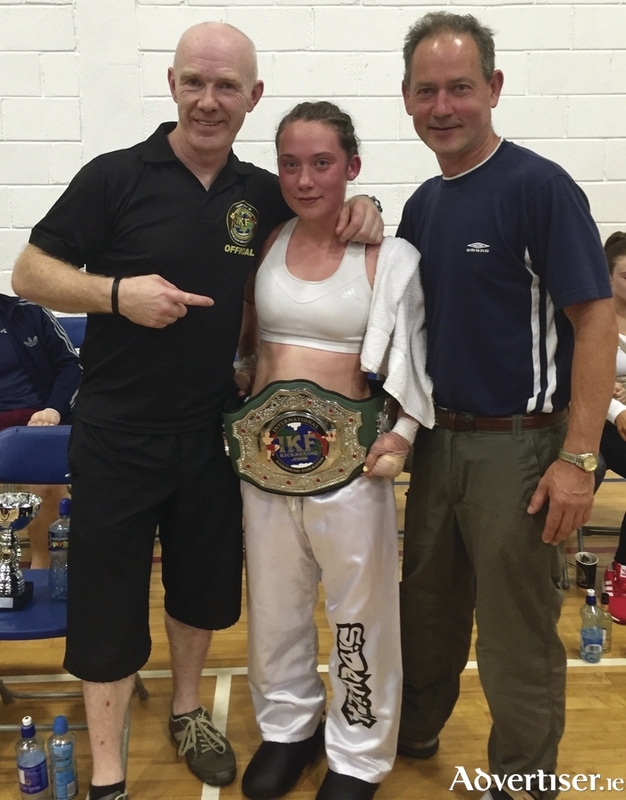 Catherine Jennings from Riverside Estate in Galway city, who fights out of the Galway Black Dragon Kickboxing club, won the IKF Junior All Ireland lightweight kickboxing title on Saturday at a packed event in Limerick. After five tough rounds against the determined Hayleigh Kiely from the Hub Kickboxing Club in Limerick, Catherine was declared the winner by judges' decision.